2011 Adam Sandler, Katie Holmes, Al Pacino. Directed by Dennis Dugan. I love reruns of Saturday Night Live with Adam Sandler – he’s hilarious! Sadly for me, that appreciation for his particular brand of comedy has not transferred very well to his movies. I tend to think of most of Sandler’s efforts on the big screen as so-so, rarely rising above just another mediocre attempt at crude bathroom humor aimed at sophomoric males. That’s okay, though, there’s a place for all kinds of humor, even the crude kind, as long as I don’t have to be subjected to it on a regular basis. Curiously, one of the few Adam Sandler movies I can say I really enjoyed was You Don’t Mess with the Zohan (2008). There is something about the idea of an Israeli “James Bond” superspy who always really wanted to be a hair stylist instead of a secret agent that is so ludicrous it appeals to my weird sense of humor. When I started seeing the previews for Jack and Jill, I wasn’t immediately persuaded that it should go on my “must-see” list. When I noticed it was rated PG I reevaluated and decided that maybe if it is less crude and more suitable for kids, then perhaps it might have room to be a little more clever. Besides, seeing Adam Sandler playing a loud, obnoxious, insensitive female version of himself had to provide some level of entertainment value on its own. Jack and Jill are twins who were born and raised in the Bronx. Jack went on to become a successful producer of television commercials in Southern California with a beautiful wife, beautiful kids, and beautiful home. 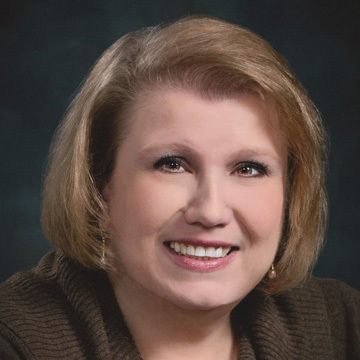 Jill stayed in the old neighborhood in the Bronx, caring for their parents and not having much of a social life. She misses her “twin time” with Jack terribly, and looks forward to her annual holiday visit with Jack and his family as the highlight of every year. The problem is, Jack dreads her visits and wants to spend as little time with her as possible. This year is no exception but Jack has an additional problem: he must convince Al Pacino to do a commercial for Dunkin Donuts. The chances of getting Al Pacino to do a singing and dancing television commercial is particularly ridiculous, especially since Mr. Pacino has recently exhibited signs of a “nervous breakdown” while starring in a stage production of a serious Shakespearean play. When Pacino meets Jill while she is tagging along with Jack as he tries to enlist him for the commercial, the Oscar-winning actor is smitten and becomes obsessed with her. Really, the only logical explanation for this is insanity. But this brand of insanity is hilariously funny, as Pacino plays an over-the-top “method” acting version of himself that skewers not only his fame for The Godfather, but Hollywood pretentiousness in general. Insane hilarity ensues, culminating in the obligatory sequence where Jack must impersonate his female twin in an attempt to salvage the situation. Since this one has a family-friendly rating and is a holiday comedy to boot, rest assured that by the end of the movie everyone has learned the lesson they needed to learn, everyone who needed to be put in their place has been put there, and we are treated to a sweet happy ending. Yes, there is a liberal dose of bathroom humor along the way, not to mention enough product placement to almost qualify as a 90-minute commercial, but I was laughing out loud throughout the entire film. Some of the biggest laughs came from the surprising cameos: David Spade, Dana Carvey, Johnny Depp (YES, that’s really Johnny Depp and he’s really wearing a Justin Bieber t-shirt! ), Regis Philbin, John McEnroe, Shaquille O’Neal, Drew Carey, Christie Brinkley, and Bruce Jenner. This movie’s appeal may be limited to those of us with a weird sense of humor, but I don’t care. It was just plain funny in a mindless, completely escapist way. 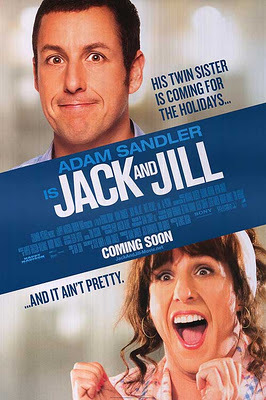 If you are experiencing holiday stress or too much time with relatives this time of year, I suggest you go see Jack and Jill; you’ll gain a whole new appreciation for your family. 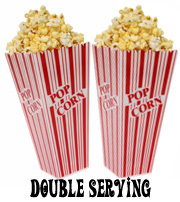 Rating: Double Serving plus a big bag of Peanut M&Ms! This entry was posted in Movies and tagged Adam Sandler, Al Pacino, cameos, Jack & Jill, Johnny Depp, Katie Holmes, twins by S.D. McPhail. Bookmark the permalink.